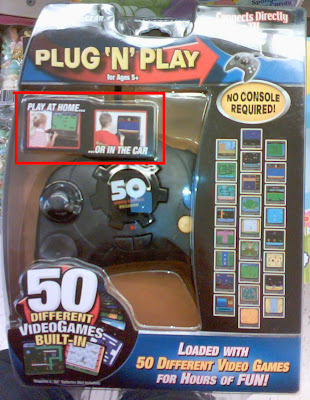 I saw this at my local Walgreens, I love those cheep Chinese game controllers. They are all loaded with all the same bad games. In case you cannot see the fail, just look at the image above "…OR IN THE CAR". 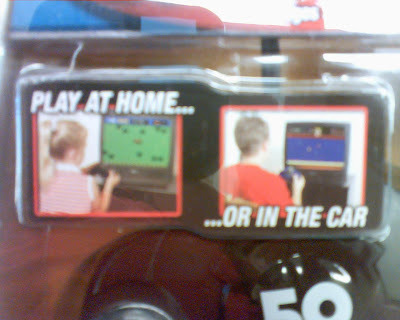 Clearly not in a car at all.